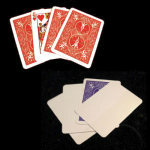 Faces and backs magically print on a deck of blank playing cards! 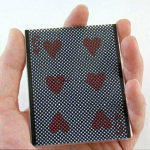 Print a deck of playing cards- like magic! 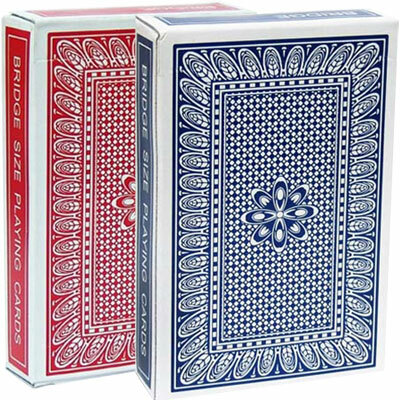 You start with a deck of cards that are blank on both sides. But at your command, the face of one card appears- but its back is still blank. You magically "print" the back of the card, and replace it in the deck. Suddenly, ALL the cards now have printed faces AND printed backs! 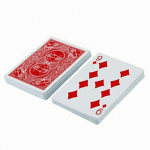 If you can spread a deck of cards apart, you can do this trick! This is DECK #5 in the CLASSIC CARDS SET. 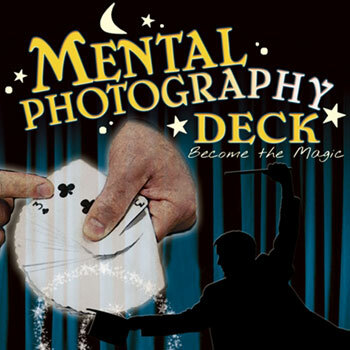 This MENTAL PHOTOGRAPHY deck is one of the special Classic Cards decks, custom designed by Magic Makers Inc. 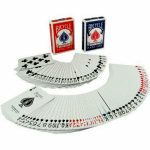 The Classic Cards series features the most popular trick decks of all time. You can buy any of the five decks in the series individually, or you can get the entire Classic Cards Set and save! 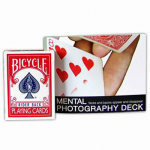 The MENTAL PHOTOGRAPHY DECK is also available with BICYCLE BACK design here. 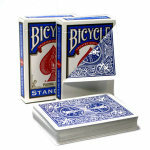 Deck is Poker size with a custom back design (not Bicycle back). A Real Mind Blower!!! 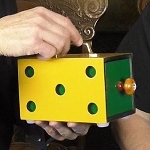 One of the classics of Card Magic, good for Hundreds of Tricks! I do a trick card You're The Magician. I tell the spectator To be a Magician you need a Magic Deck of Cards , and then I riffle the Mental Photography Deck to show all the card faces. 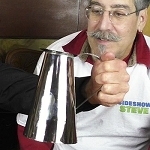 Next you need a Magic Wand , and I then hold up my finger. Finally , I tell them, You need some Magic Tricks, so tap the back of this deck and let's see what happens. 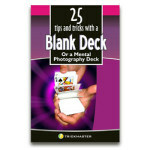 When thy tap the back of the deck I turn the card over and it's blank! That's a great trick! 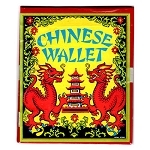 , I tell them, Let's put that card on the table and do another trick. They tap the deck again and I turn over the next card and it's also blank! That's awesome! , I say, Now let's do the Big Finale. I then place the blank card on the bottom of the deck, have the spectator tap the bottom of the deck, and then fan the deck, and all the cards are blank! You did great, you're a great Magician, I tell them. 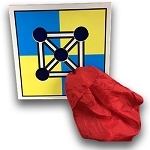 Kids love this trick; it always gets a big THAT'S COOL! response. 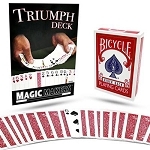 This is a great price on this deck - Thanks MagicTricks.Com. 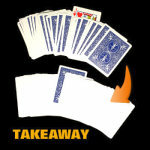 BTW, if you purchase a 52 on 1 Card, also available from MagicTricks.Com, you can produce that and say, This is where all the cards went!